we've been featured on FLASH FLAVOR! woo hoo!!! 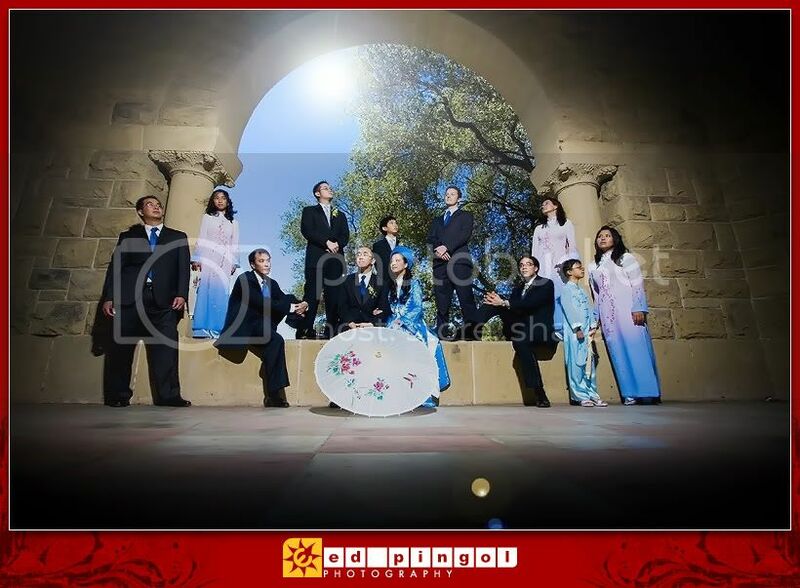 we've been featured on flash flavor, a website that showcase photographer's creative use of light during weddings. totally awesome! I wanted to follow up with posting another set of images from one of the photographers I am keeping an eye on. Ed Pingol has recently contributed to a FF post on deleting the ambient. 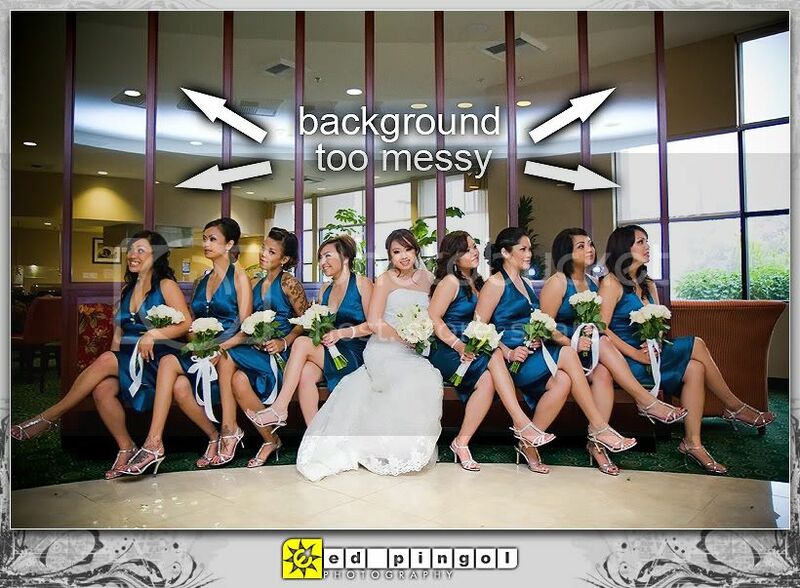 One of the things that really stood out about Ed’s photography is the effort he takes to set up some of his formals. I think that a LOT of us can take some serious notes on this one… I often get lazy and claim that formals aren’t my game… well, after looking at this stuff, I’m a little inspired to go out and try a tad harder. Go to school on shooting some kewl formals…. -designing albums are easier - because you have taken a bit of time to set up, chances are the images you’re about to capture is clean and well composed. clean and well composed images demand single spreads for themselves. one image per spread is SO easy to design, a caveman can do it. -it’s just a lot more fun than traditional poses - of course we do the creative stuff AFTER we’ve done the traditional poses for the moms and pops. 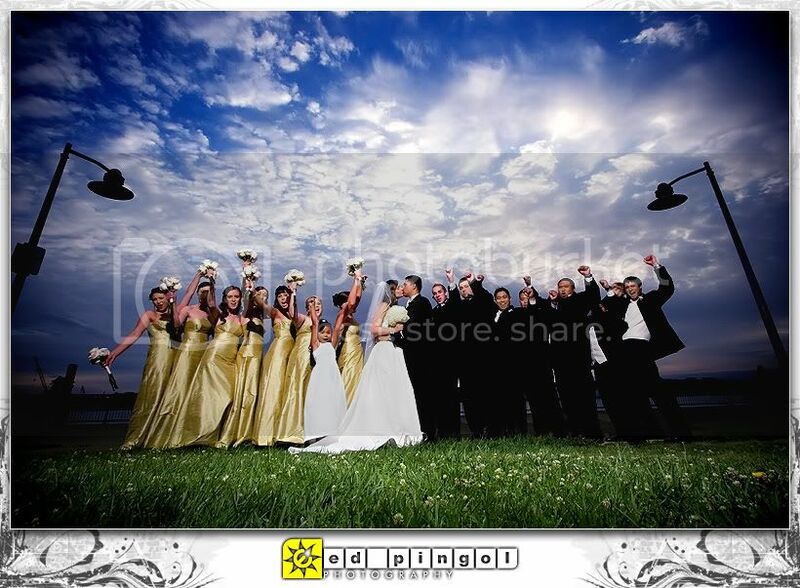 most of the bridal party has never experienced anything similar to this during a wedding. show them just one example and chances are they’ll want to take several more. if you make it fun, they’ll remember and referrals are sure to follow. So setting up a pose is cool and all but this is the time where we add a little FLASH FLAVOR to the mix. 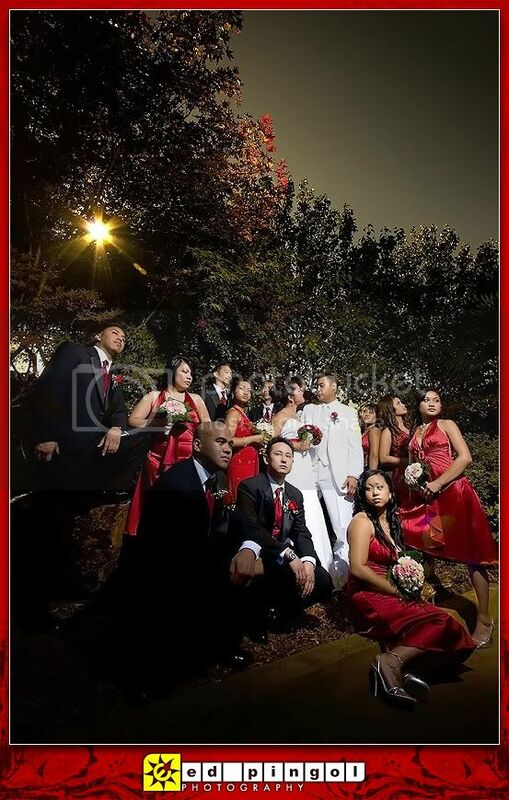 Below is an example of a typical “Ed Pingol” group photo (whatever that means) of the bridal party - setting is 100iso 1/180th @ f13 - lighting set up consist of dual nikon sb-28’s triggered by a PW mounted on a monopod fired 1/1 @ 24mm beam spread - held high by Monica. See example of actual setup here. your main subject. In order to “delete” that please read up on deleting the ambient. mounted on a monopod fired 1/1 @ 24mm beam spread - held high by Monica. mounted on a monopod fired 1/2 @ 24mm beam spread - held high camera right by Monica. provide wider cover) - held high by Monica. Ed, how refreshing to see this post! I’m very impressed that you actually take the time to set these up. I know your clients dig them. I love it when you mix bright sunlight in the frame and blast them with the flash, just hotness! Lets hope that we all can take some inspiration from this one and change it up a little next time you set up a group of formals! Props Ed, thanks for sending me this submission. This is what Flash Flavor is ALL about amigo!